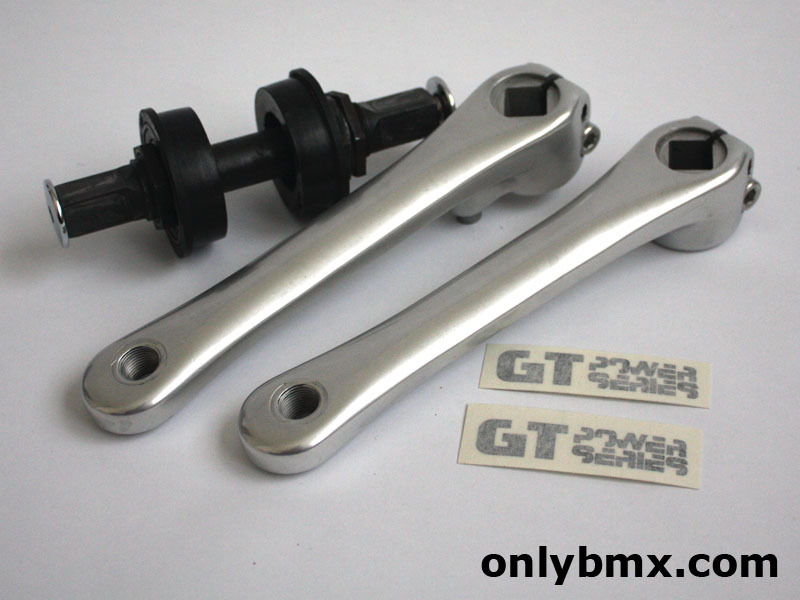 Set of GT BMX Power Series cranks and sealed bottom bracket. 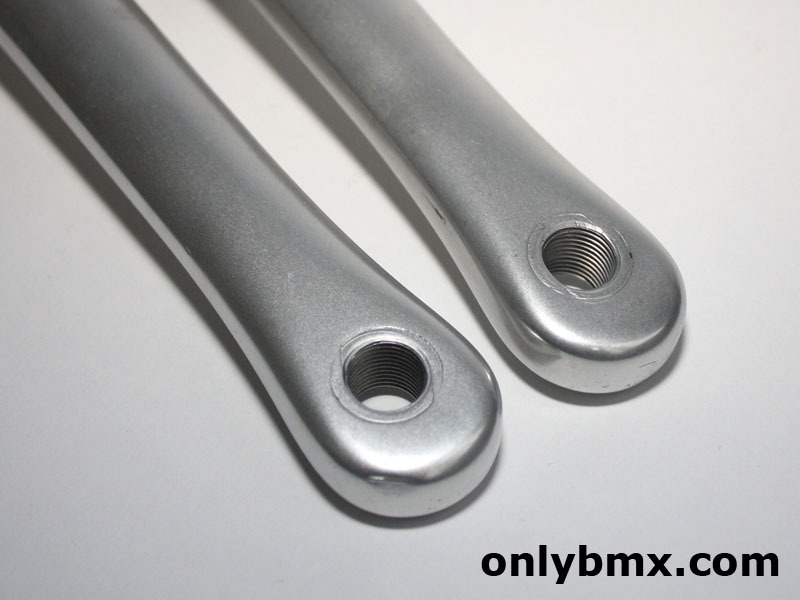 These alloy cranks were used on both race and freestyle GT bikes in the late 80s onwards. 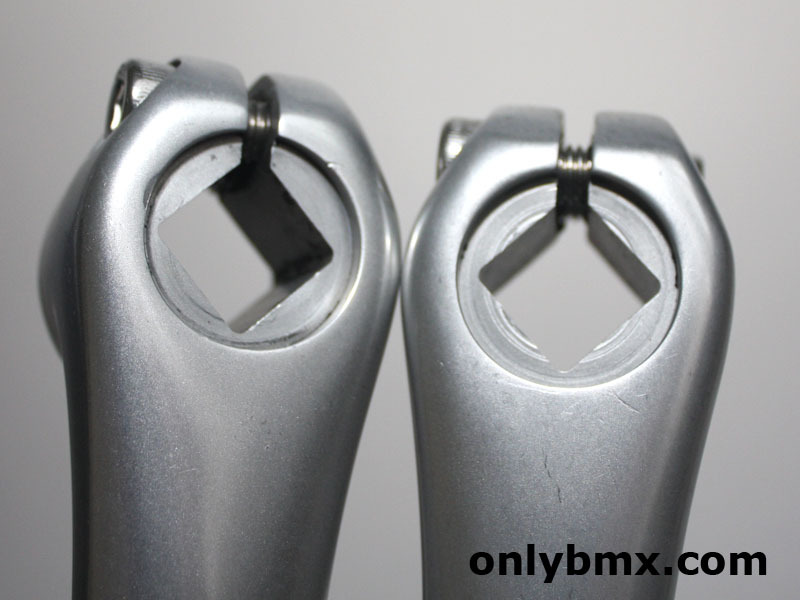 Put them on this GT Pro Freestyle Tour if you want! 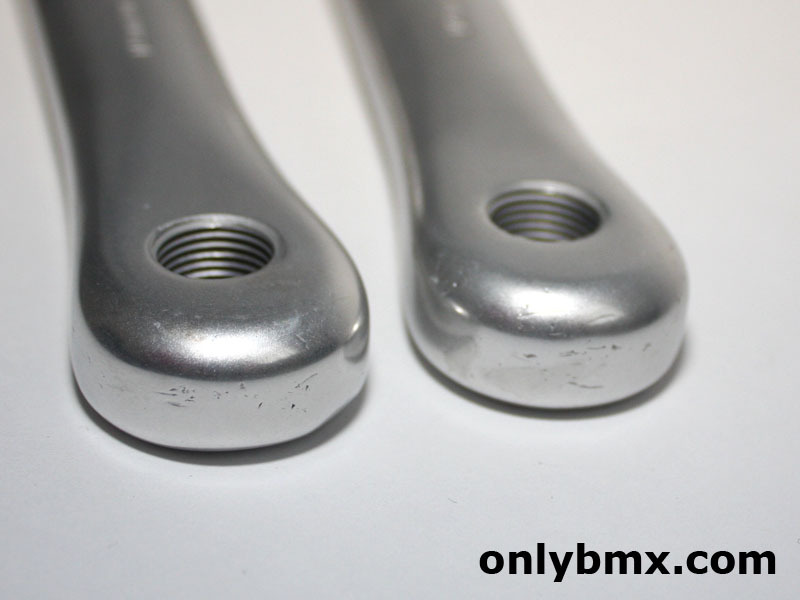 Many of the marks were removed and the cranks then polished. Next they were very lightly media blasted to bring out the uniform satin finish like the originals. There are still a few minor marks as I didn’t want to take too much out of the shape. These look much better than some of the polished ones around. 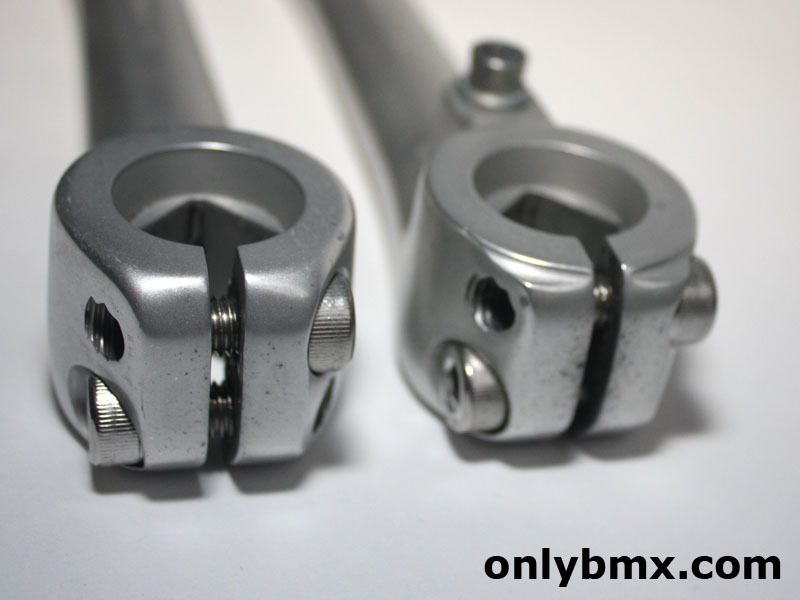 The bottom bracket is a GT Ultralight sealed unit. I can’t remember if the spindle bolts are original. 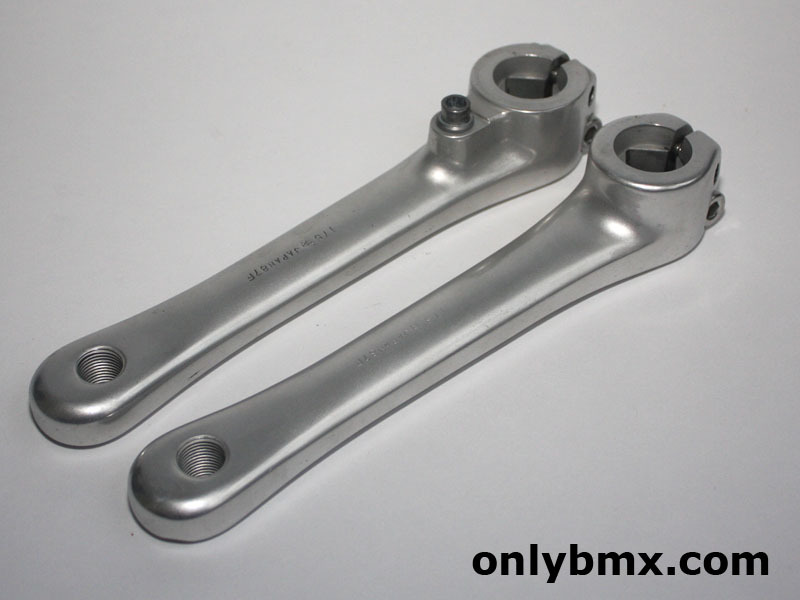 At some point there was talk of these being reproduced and as it was so long ago, I can’t remember if they were and I bought a set, or these came with the cranks. I had another set so that adds to the confusion. Pinch bolts are definitely new ones. 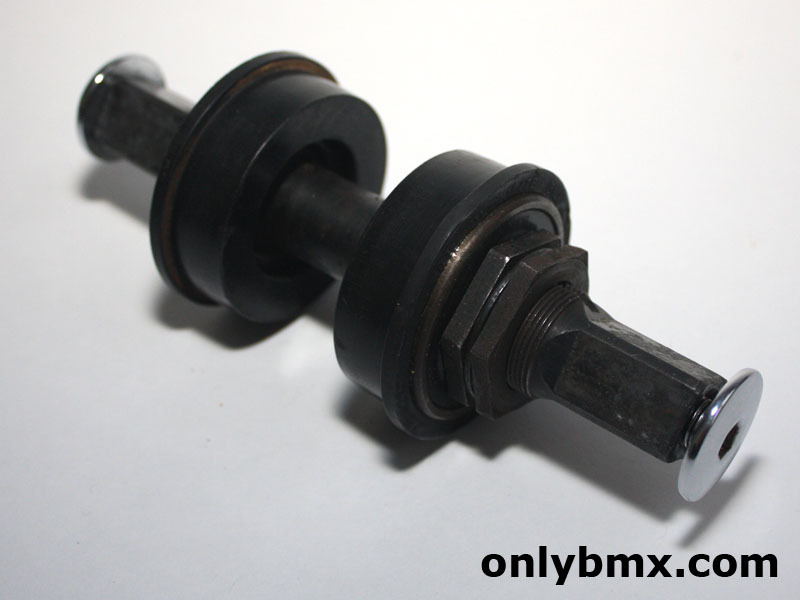 The all important sprocket bolt is original. 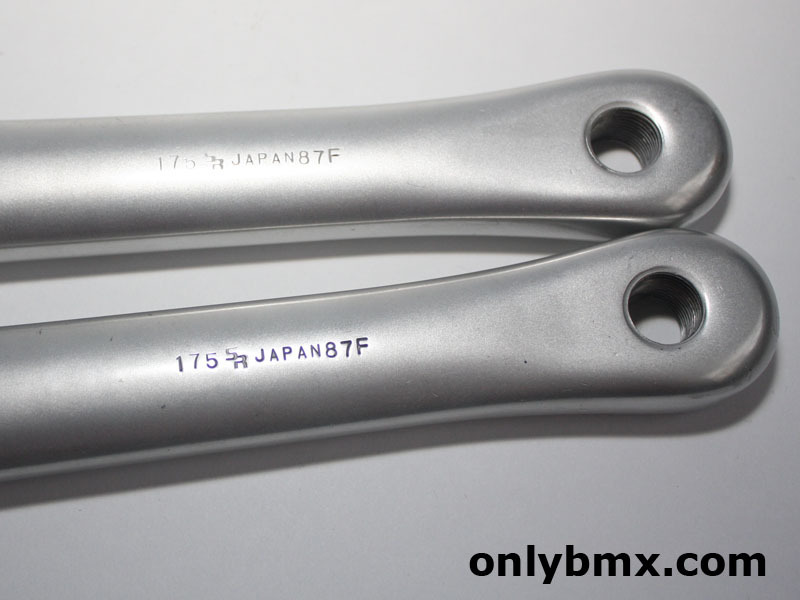 Arms are 175mm and dated 87F. Also comes with a pair of reproduction die-cut decals.